In addition to the PERT method for calculating task durations, there is the Critical Path Method (CPM). 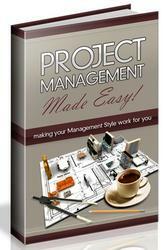 In fact, standard Microsoft Project calculations are based on CPM. With CPM, project duration is forecasted by analyzing which sequence of project activities has the least amount of scheduling flexibility. An early start and early finish are calculated, as are the late start and late finish. 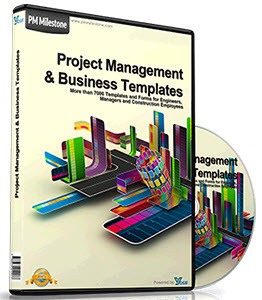 Many project managers use PERT analyses for their duration estimates and then use CPM to manage the importance of tasks in their schedule, given their level of scheduling flexibility. For more information about the Critical Path Method, see "Working with the Critical Path and Critical Tasks" on page 251. • For the optimistic durations, click Optimistic Gantt on the PERT Analysis toolbar (see Figure 5-7). Figure 5-7. The Optimistic Gantt shows the optimistic durations for the PERT Analysis. For the expected durations, click Expected Gantt on the PERT Analysis toolbar. For the pessimistic durations, click Pessimistic Gantt on the PERT Analysis toolbar. You can also display one of the PERT Analysis Gantt charts or the PERT Entry Sheet by clicking View, More Views and then selecting it in the dialog box. However, be aware that a PERT Analysis view does not appear in the More Views dialog box until you click the button for that view on the PERT Analysis toolbar the first time after installing Microsoft Project.